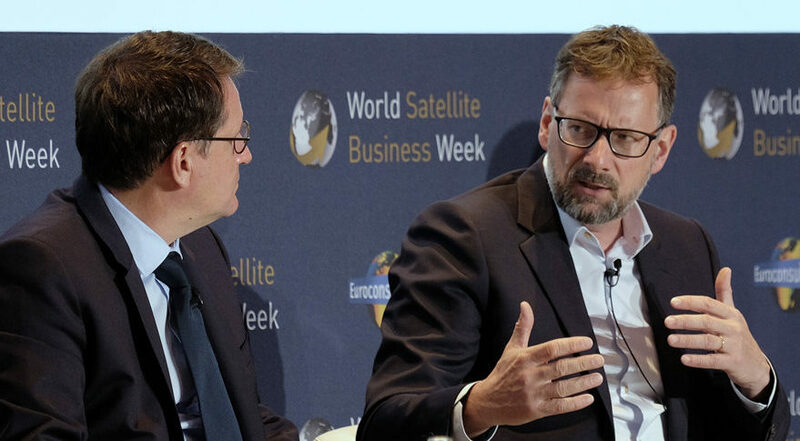 PARIS — Fleet operator SES plans to revolutionize satellite purchasing and operations. Instead of buying individual satellites tailored for a specific job at a precise orbital location as it has for decades, the Luxembourg-based company is seeking homogenous satellites with digitally processed payloads it can reconfigure to perform any job in geostationary or medium Earth orbit. If the SES board of directors approves the plan, SES will solicit proposals by the end of the month and begin purchasing in early 2019 the new 2.5 to 2.9-ton spacecraft offering approximately 12.5 kilowatts of power, said Martin Halliwell, SES chief technology officer, who leads the initiative. Prior to announcing its plan, SES worked with 11 potential satellite vendors and selected three for continued cooperation. Company executives declined to name the vendors. SES is embarking on this campaign because it expects satellites to be an integral part of evolving global communications networks. To perform that role, however, the industry will need to expand satellite production dramatically, Collar said. SES plans to stack three of its future satellites, which don’t yet have a brand name, on rockets. The rockets could then drop them off in medium Earth or geostationary transfer orbit, as needed, Halliwell said. SES operates 56 satellites in geostationary orbit and 16 O3B satellites in medium Earth orbit. The firm plans to launch four more O3B satellites in 2019. SES also is investing more than 1 billion euros ($1.16 billion) in O3B mPower, a seven-satellite constellation built by Boeing for internet and data connectivity that is slated to begin launching in 2021. SES’s plans to begin flying the new reprogrammable satellites after it launches the mPower satellites, Collar said.